It was a great win in overtime over Georgetown 64-61. 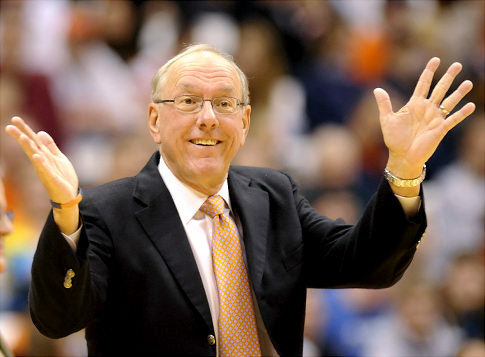 He has been head coach at Syracuse University since 1976 and was an assistant coach for 7 years prior to that. He has coached great players such as Carmelo Anthony, Wesley Johnson, Billy Owens, and won the NCAA tournament in 2003. Congratulations to Coach Jim Boeheim! This entry was posted in College and tagged Boeheim, boston sports blog, coach, milestone, NCAA, orange, syracuse, tournament, wins by christoph131. Bookmark the permalink.